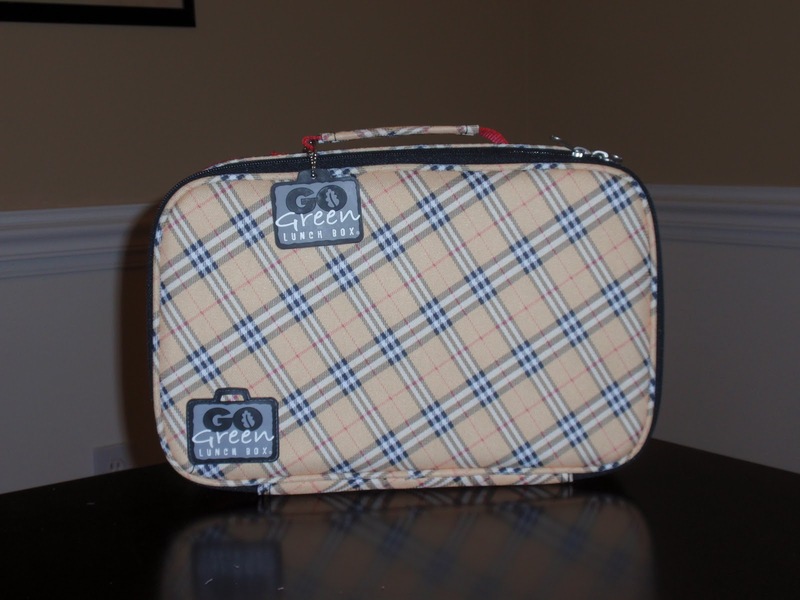 I have never been excited to show off a lunch box before I received my "Prepster" lunch box from Go Green Lunch Box ! 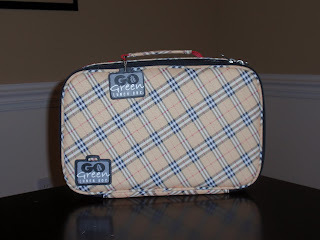 It is the Burberry of lunchboxes! These lunchboxes come with a 5-compartment container that, after several shakes, does not leak. 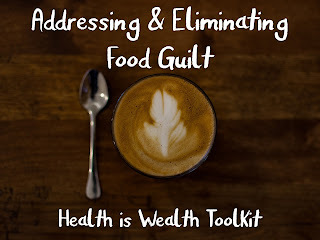 This container allows for adequate portion control, which is essential for optimal nutrition. 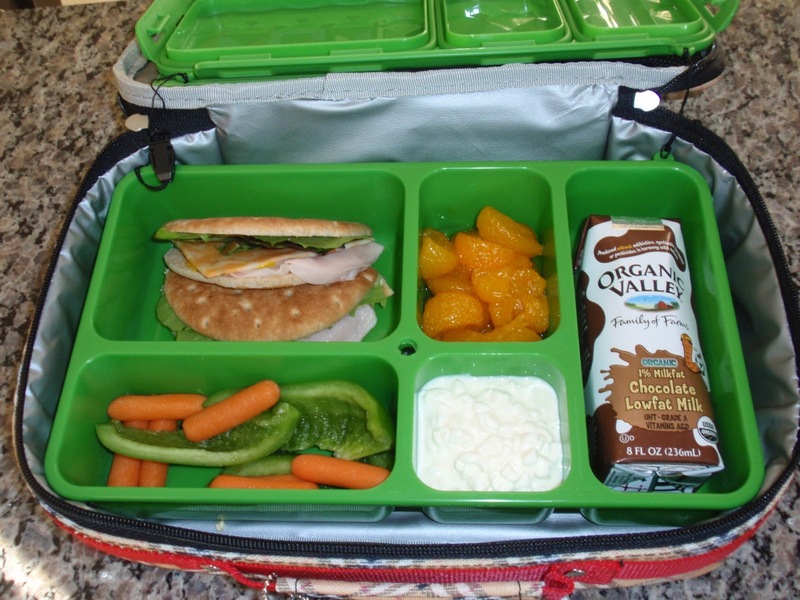 It also contains a stainless steel water bottle & the lunch box is BPA-free. There are so many amazing options available for patterns! I had so many compliments on the "Prepster" pattern. It is a true fit for a lady who enjoys fashion. The lunchboxes come with a Stainless Steel water bottle, but as you can see, other options can fit in the lunchbox as well! 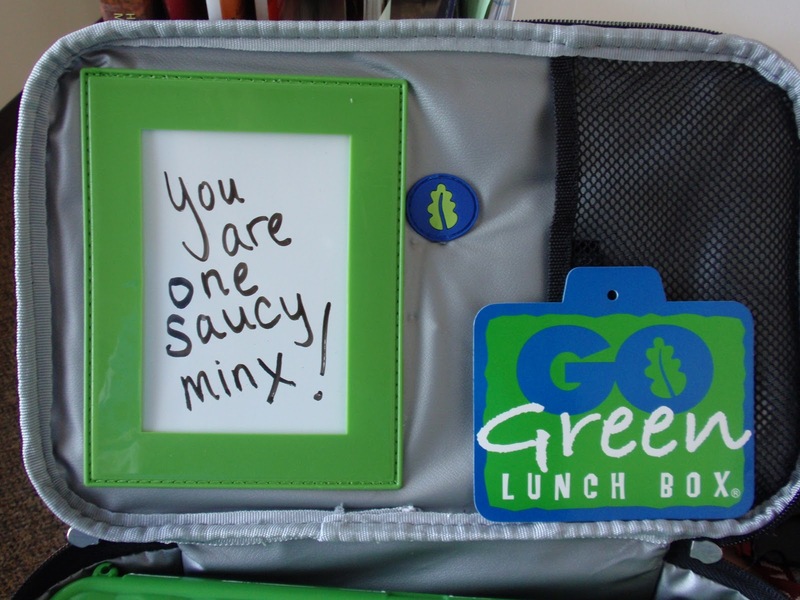 The lunchboxes also come with a white dry-erase board, so you can leave messages for your kids, other loved ones, or for yourself. 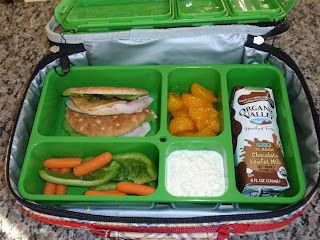 This lunchbox is Eco-friendly & is a true money saver. Making a lunch is a lot less expensive than eating out and it also enables you to ensure the choices are good for you & your loved ones. Thank you so much to Go Green Lunch Box for allowing me to review your trendy & environmentally friendly lunchbox at no cost. All opinions are 100% my own & thankfully, YOU have a chance to win one of these for yourself!! It reminds me of an American-ized bento box, and I love bentos! Does it really not leak? That's always my biggest problem with any container. I need to be able to throw it in my big purse and not worry about it getting just all over my things! I think I would go for the prepster one too, just too cute! zoe's zig zag. I love lunchboxes lol. my kids bring my bento boxes for lunch and always get asked "if their mommy can make one for them" I honestly would win this for a little girl up north that has diabetes (diabetes month) she is very active in dance and gym and is always on the go. I would get the Prepster. I like the cherries jubilee lunch box.